One lucky Australian will also get the chance to win a custom-built LandCruiser 200 Sahara created by Toyota Australia as the major prize in the Raffle for Resilience# launched at the start of Australia’s largest music festival. “As the vehicle that’s played a part in the lives of so many rural Australians for sixty years, creating a bespoke LandCruiser to support them made perfect sense,” Mr Gabriel said. “With the recent severe drought affecting millions across Australia, support for charities like Rural Aid is more crucial than ever and we are proud to have been able to provide support through the Toyota Country Music Festival. “The organisation does a fantastic job in providing a variety of support services for rural Australians across the country and we hope that the chance to own this one-off vehicle will encourage people to support this raffle,” he said. “People in the bush have had it particularly hard over the past few years, and demand for our services continues to increase so it’s great that Toyota is such a committed supporter of our cause,” Mr Alder said. 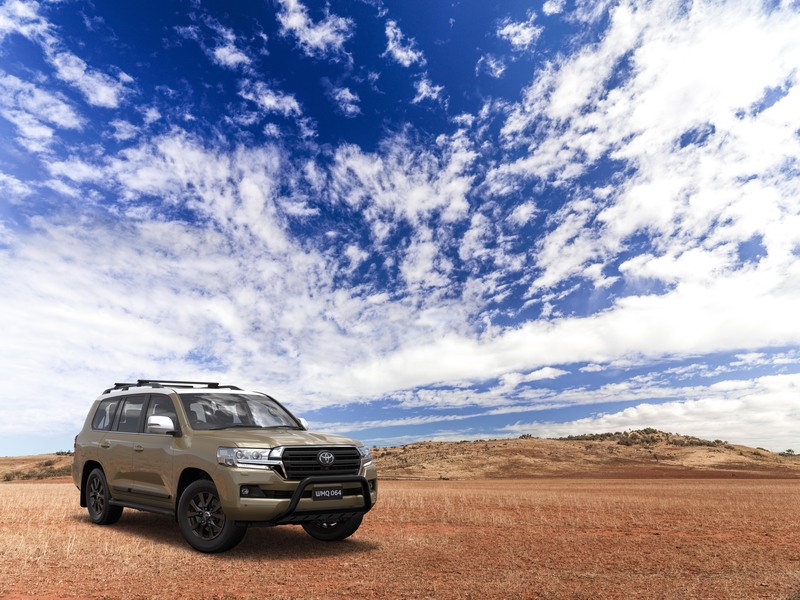 “Toyota has always been there for rural and regional Australians, and given the popularity of its LandCruiser models among country folk, this makes for a great prize that we are sure will encourage the broader community to buy tickets. “All proceeds will be used to help grow the essential mental health services we provide for those in need,” he said. The custom LandCruiser 200 Sahara was designed by Toyota’s Product Planning & Development Division in Port Melbourne, with the design team taking their initial cues from the original FJ40 model’s iconic mustard colour and contrasting white roof and rear vision mirrors. In order to reflect the original model’s military-style, the new custom model incorporates black grille inserts and rear garnish and black alloy wheels in place of the Sahara’s standard chrome features. All the Toyota Genuine Accessories – also designed and engineered in Port Melbourne – including roof racks, a nudge bar and a 3,500kg braked towing kit are also finished in black. 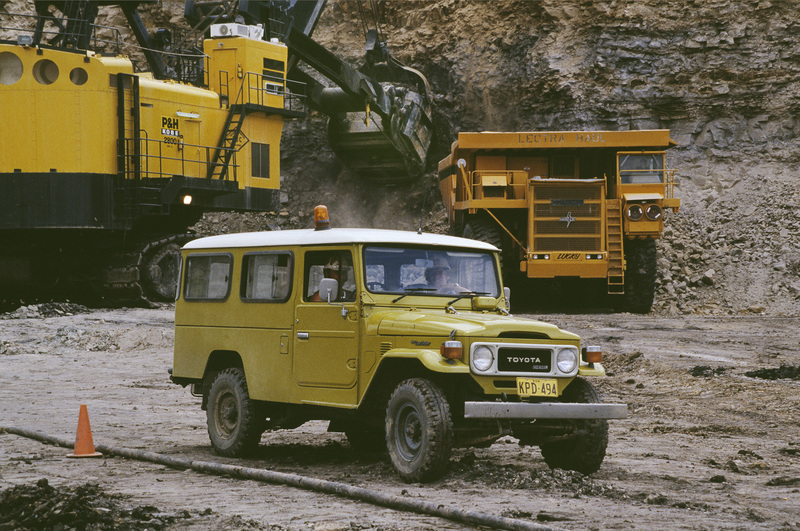 After the first handful of LandCruiser FJ25s arrived in 1958, Sir Leslie Thiess, who took up first the Queensland then NSW distribution for the brand, kickstarted Toyota’s success and within six years, there were 4,000 Toyota vehicles in Australia, half of which were LandCruisers. 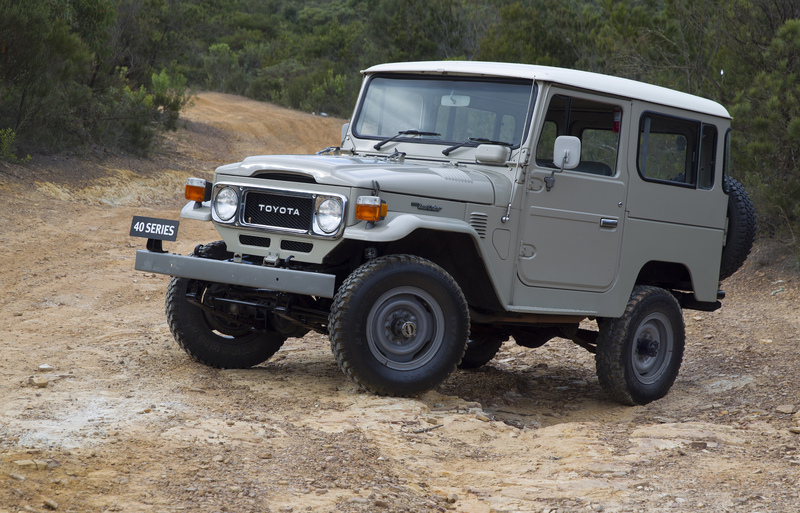 By 1969, such was the popularity of LandCruiser that Toyota introduced its first model clearly aimed at a recreational market – the FJ55 Series. The arrival of the 60 Series wagon in 1981 again heralded Toyota’s move to further cater to a recreational market with greater levels of passenger car comfort and features including an automatic transmission option and air conditioning along with a large capacity 4.0-litre diesel engine. In the same year, sales of LandCruiser in Australia topped 100,000 units. In 1990, the new 80 Series took this concept even further with high levels of luxury while still maintaining LandCruiser’s reputation for off-road prowess with a constant four wheel drive system, coil sprung suspension and broad choice of 4.2-litre turbo diesel and diesel powerplants and 4.0-litre and 4.5-litre multi-valve petrol engines.